GhostScript is a server software. It’s a library to work with PDF files. Usually you want to install it on the server where you host your WordPress. GhostScript software usually cannot be used by your site directly, so there should be also ImageMagick + Imagick PHP Extension installed. Before installation you should check if it’s already installed. The easiest way to check is to search for it in your php info. 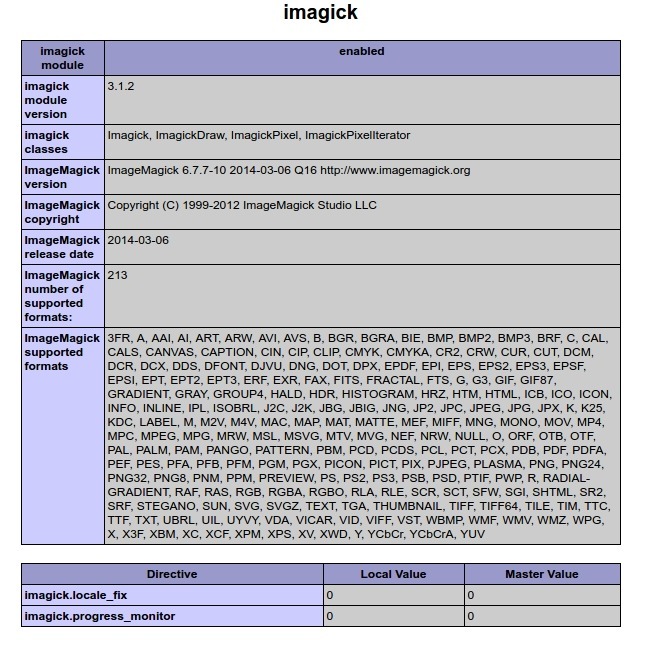 If you see imagick info, and you can see “PDF” among others inside “ImageMagick supported formats”, then GhostScript library is probably installed. GhostScript is a server library. It’s installation requires administrative privileges on the server where you wan’t to install it. On most hosting plans (sometimes called “shared hosting“) you won’t have administrative privileges so you won’t be able to install it by yourself. In this case you should contact your server/hosting provider support for further assistance. VPS, VDS, personal servers, etc. If you have administrative privileges or your system administrator has, then you can install it. The further information will probably require advanced server management skills. Please check the official installation guide. Previous story How to get error_log in case when you’re not familiar with webhosting/webserver management?